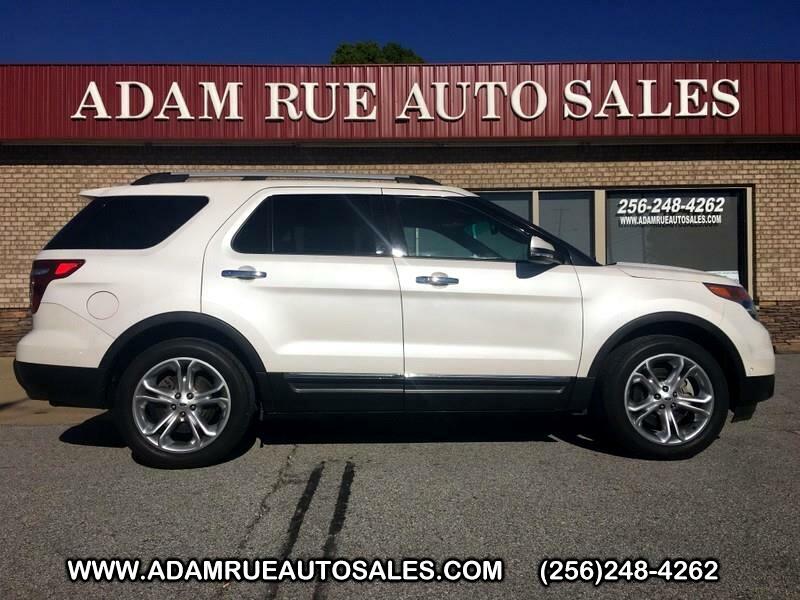 Adam Rue Auto Sales is honored to present a wonderful example of pure vehicle design... this 2015 Ford Explorer Limited only has 150,428mi on it and could potentially be the vehicle of your dreams! This SUV is a great example of beauty and brawn with classic styling and a workhorse power plant. The Ford Explorer Limited's pristine good looks were combined with the Ford high standard of excellence in order to make this a unique find. Do you encounter heavy snow, rain or mud when driving? No problem. With this vehicle, you've got the power of 4WD to help you overcome the toughest terrain. More information about the 2015 Ford Explorer: The Ford Explorer has been rated one of the safest utility vehicles at any size or price it's the first vehicle in the world to offer rear inflatable seatbelts. Curve control--a more advanced version of electronic stability control--is also a Ford exclusive. Ford's MyKey system helps parents reel in teen drivers. The Explorer also stands out for being one of the greenest choices available. Ford claims best-in-class gas mileage for non-hybrids and notes that the Explorer EcoBoost will go 20 percent farther on a gallon of gas than the Honda Pilot. Strengths of this model include Quiet interior, good value, excellent ride quality, world-class safety features, and EcoBoost engine provides good mileage Thank you for considering Adam Rue Auto Sales! We are proud you are here. Our dealership is focused on making your buying experience as pleasurable as possible. We understand how difficult it can be finding the perfect vehicle. Our staff has been in this business many years and are trained to be professional and courteous while assisting you. After all, you are the reason we are here. We want to be a little different than what you will find down the street. We stock quality vehicles and look forward to treating you like family.